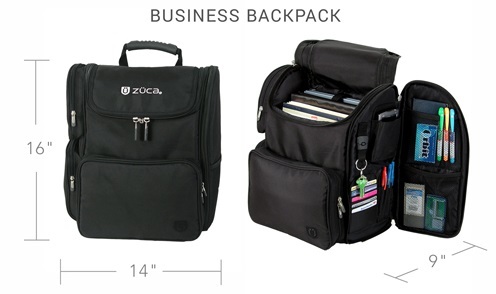 Either a great backpack on it's own or use it for carrying additional items with your Zuca Professional Wheelie. This stylish backpack comes with straps that attach it to the Pro Stenographer Wheelie. It's great if you simply need more room than what you have in the Pro Wheelie. Some Reporters also use it as a backpack to carry their machine(fits the smaller paperless writers with their tripod and a laptop computer) Has a padded laptop sleeve for a 15” screen. This is a true backpack and is NOT a wheelie backpack. We do carry the Skipper that has wheels.